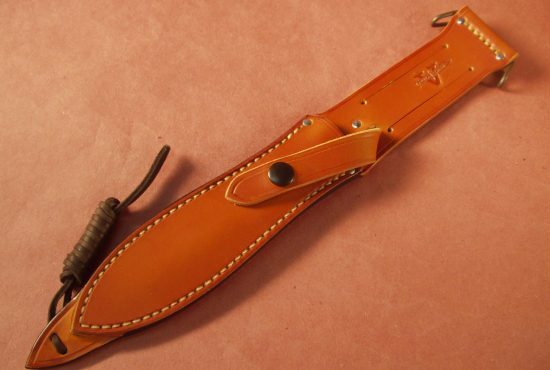 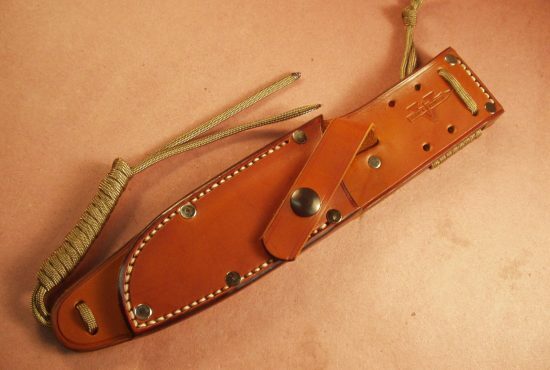 Pictured is a Custom Leather Sheath for a Chris Reeve Pacific Knife. 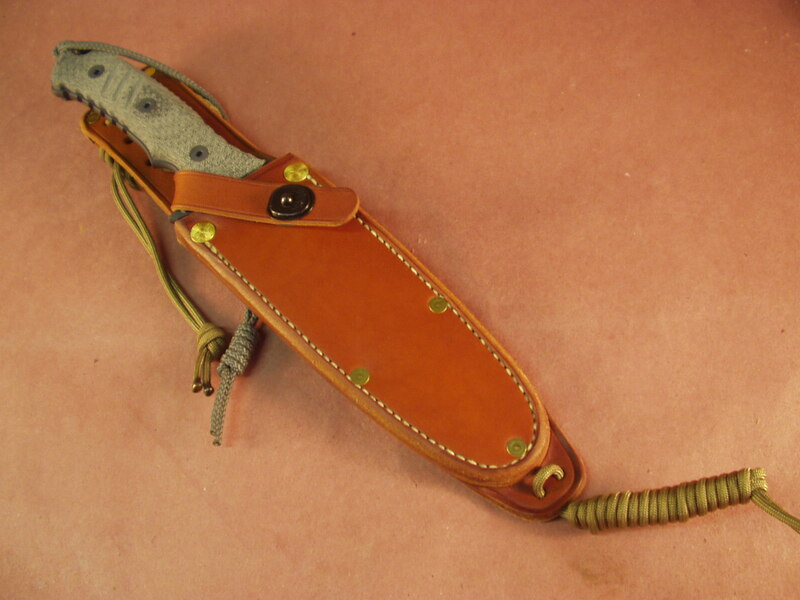 We just received a very few of these from our custom knife maker, made specifically for the CR Pacific Knife. 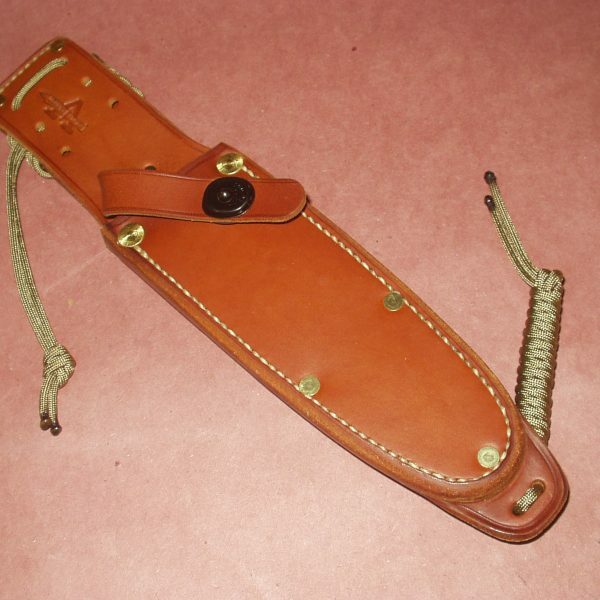 These sheaths are made of high quality leather to our specifications fitted exactly to the knife. 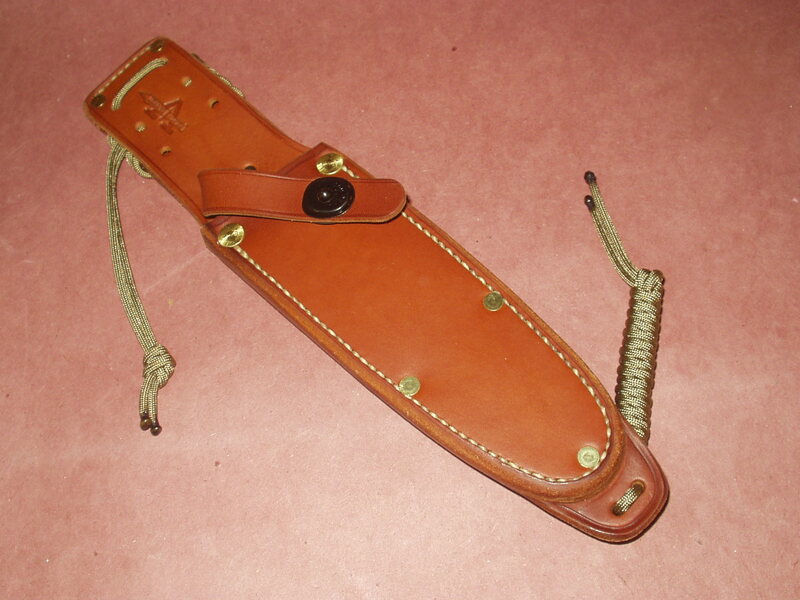 Riveted and stitched with high quality nylon thread. 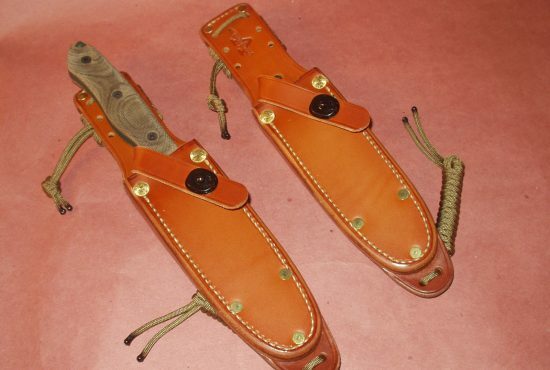 These sheaths should last as long as the knife and we think that is just the way they should be made. 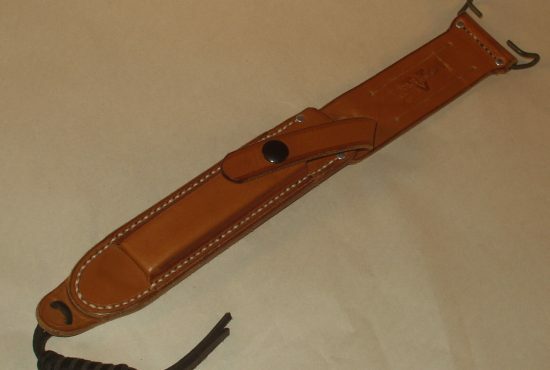 These do NOT Feature the Stone pouch and are designed for those that desire a closer or under gear application. 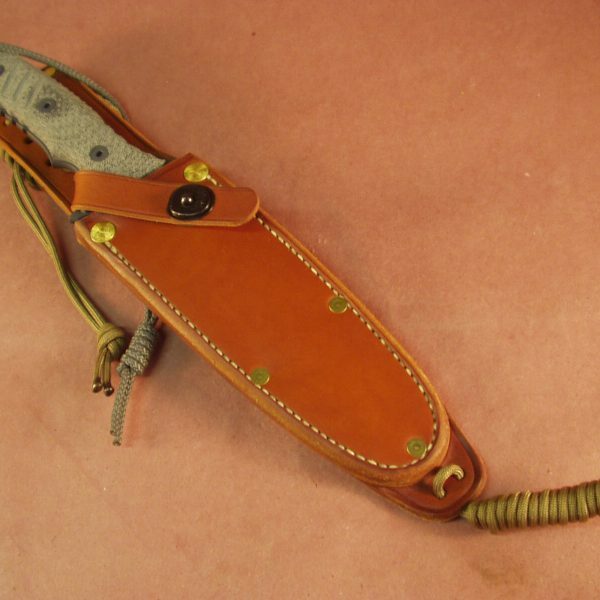 NOTE: Knife NOT included but available for purchase.